Collecting Moments #9: Finally READY TO RACE again! I may have dialed things down a notch over the past year while I got over my injury, but only in preparation for the new adventures to come. After 238 days I was back on the bike and after 363 days I was full of energy, commitment, and READY TO RACE again! Over the past few months it has been the little steps forward that have slowly brought me back to my KTM 300 EXC. The first few steps without crutches, the first weights in the gym, the first mountain bike ride with my Jekyll, the first time back on skis, the first ride out on the bike, and finally the last – and probably biggest – step: back on the race track. It was important to me not to allow an entire year to pass between the accident and my next competitive appearance. I was staring at the calendar for the Austrian Cross-Country series throughout the entire season, with the same thought constantly rattling around my mind: “Will I be able to come back? When will I get back on the starting grid?” In my last blog entry I spoke of my first ride after my crash in October 2017. It was a special moment, even if I was more cautious, a little slower, and somewhat clumsier than before the accident. I used the summer to try to rediscover my old form, which admittedly took longer than I had expected. A few times in training I simply expected too much of myself and became disappointed with the slow rate of progress. It was only when I set myself a goal – to compete in the final race of the Austrian Cross-Country season in Mattighofen – that my training started to kick off. And how! Suddenly it was back: that indescribable sense of freedom as you fly from one bend to the next. This was when I decided that I was definitely going to be there lining up for the start of my home race. The anticipation was huge – but with a hint of nerves too. 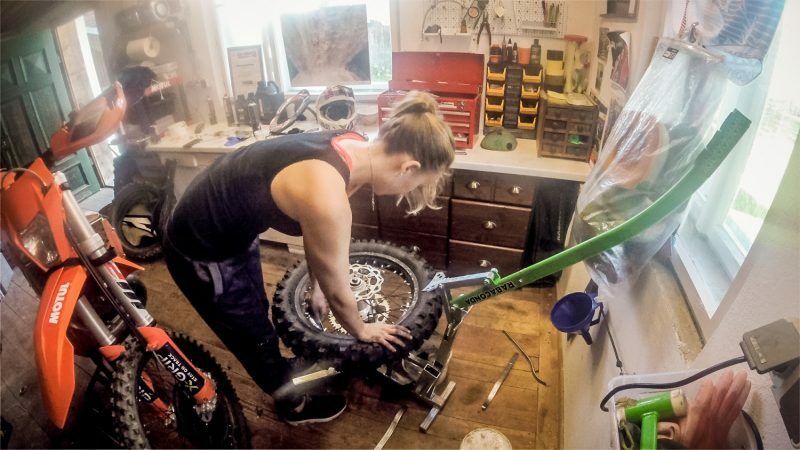 It had been a long time since I’d had that wondrous feeling of putting on new tires, adjusting the chassis to the perfect setup, and getting my bike ready to race. 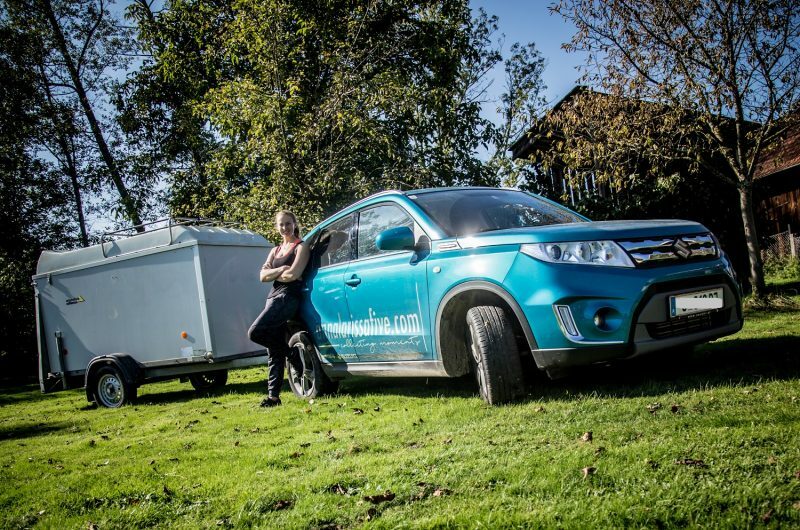 Loading the trailer, working through my race checklist, and finally getting prepared for race day. A truly special feeling. It was only once I’d got everything loaded up that I realized just how much I’d missed these moments over the previous year. Race day for me started at 1 pm in the guest class for male competitors. Why not in the women’s class, I hear you ask? Well, considering that I hadn’t raced for a single minute of the year’s championship and I really was only a guest, I felt it was more appropriate to compete in the guest class. My start was nothing spectacular, but after deciding that I wanted to pursue an intelligent and careful strategy out on the track, I didn’t want to risk everything right at the start of the race. There were 90 guest riders in total and I lined up at number 78 on the grid. Amazingly, I quickly found a great rhythm and felt better with each corner mastered. As the race progressed I trusted myself more and overtook 20 or more riders. One part of the course in particular asked a lot of my mental resolve. It was pretty much identical to the situation where I had injured my knee before. A steep downhill section with a rut as the track. During the warm-up lap I had noticed how my heart rate shot up when I reached this point. I was nervous. My memories of the fall played back in my mind and I could hear the sound of tearing ligaments. “Think of the Romanian forest, Larissa, you’ve already mastered far more difficult sections! You can do it!” – I had to build up my courage! But it worked: with each passing lap I completed this downhill section with more and more authority. I also stood up to the physical demands better than I had expected. While training at home I had never ridden this sort of distance, so I was really jumping in at the deep end – I couldn’t be sure if I could hold out for the full two hours or not. But as I never overcommitted or pushed myself to my absolute limit during the race, I was able to conserve my energy through to the end. I didn’t feel anything from my knee at all. It was as though nothing had ever happened. My goal was to complete the race without an accident or injury in order to gain some confidence, but also to enjoy myself. In that respect, I definitely succeeded and I am incredibly proud of that! I am grateful and so happy that it didn’t take a whole year to get back on the race track after my injury – and that the experience was so overwhelmingly positive. The motivation to train hard through the winter and get ready for the 2019 season is indescribable! 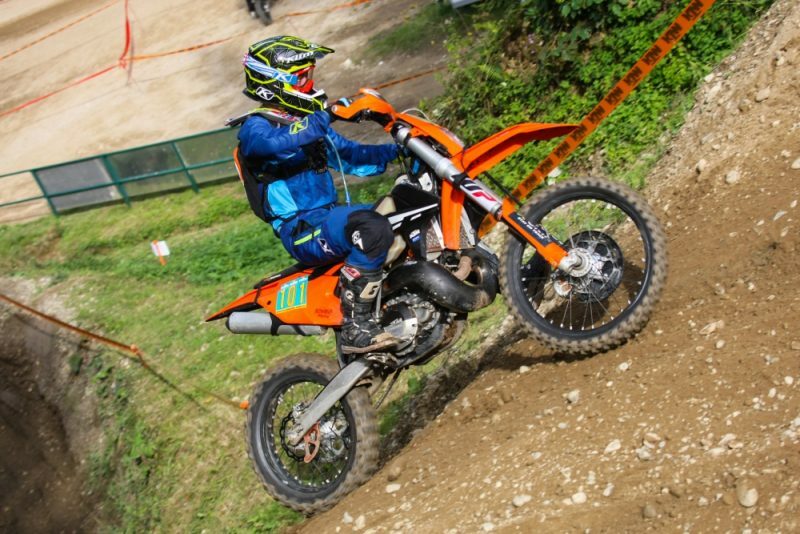 I am once again ready for many new moments on my KTM, including on the race track! 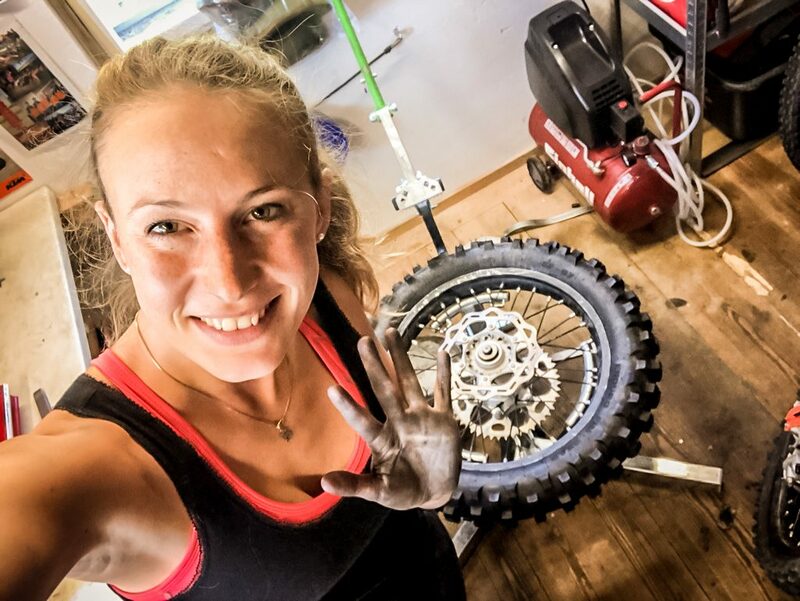 Get to know more about Larissa on the KTM BLOG – Collecting Moments #8: 238 days and I´m back in the saddle! – or check out her website!